Casco Viejo is the historic district in Panama City, Panama - and it's very interesting. I love wandering in old historic districts, regardless of where I am....Europe, the US, or Central America. I go to Panama once or twice per year, and always enjoy it. The city is beautiful, historic, and there is a lot to see. And of course the people are very nice. There's also a very interesting dichotomy between rich and poor. There are massive skyscrapers that ring the bay, and then nearby you will find examples of abject poverty. It's somewhat weird the first time you experience it. Casco Viejo is sort of across the bay from all these skyscrapers, and as a historic district it's full of old churches and old buildings, and I just love to wander there. There is a lot of reconstruction occurring there and those families that seemed to have lived there forever are getting displaced, as these old buildings are getting turned into new condos, restaurants and stores. So one thing I enjoy doing is capturing the old, the grungy, and the discarded. I'm not sure why, but I've always enjoying photographing a little of the grungy side of things. So that's mostly what today's post consists of - odd bits of this and that, along with a beautiful church spire that rises above it all. I am sure that by the time I visit it again, it will all have changed and there will be a lot more shiny new stuff to shoot. 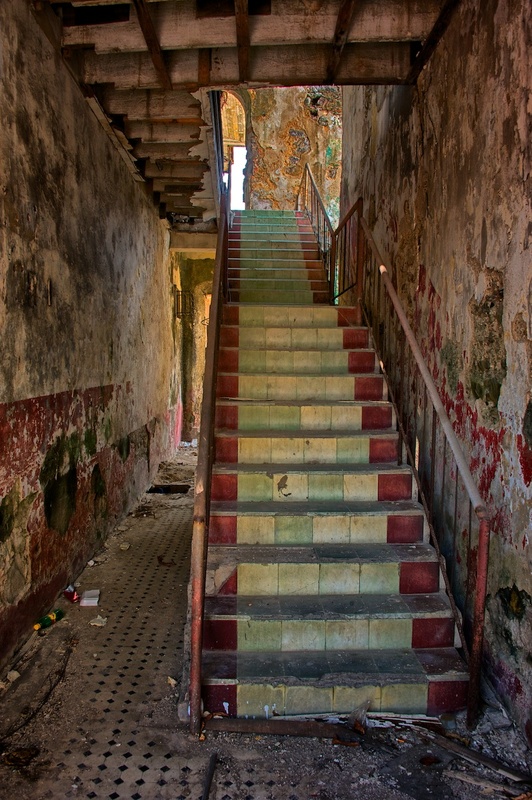 While that may be considered progress, I am glad that I was there to document these old dilapidated structures, crumbling stairs, and beaten-up doors.